Today I am back with another LEGO Batman Movie book review. 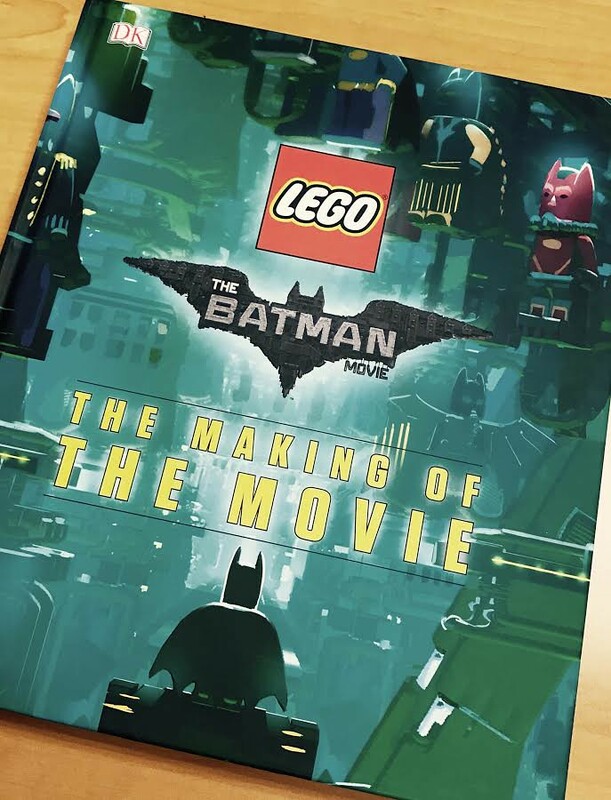 Today’s LEGO Batman Movie book is The Making of the Movie. 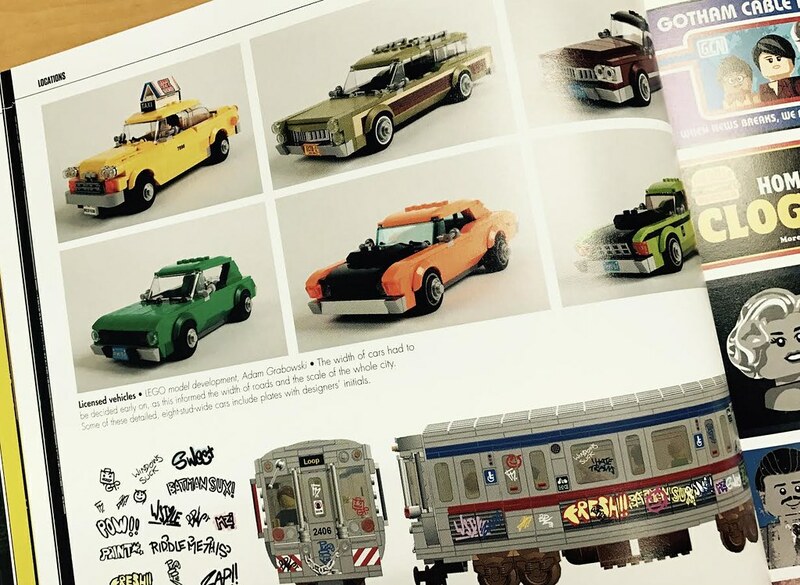 If you liked the LEGO Batman Movie, and aspire to recreate some of the cool buildings and vehicles in the movie, you need this book. 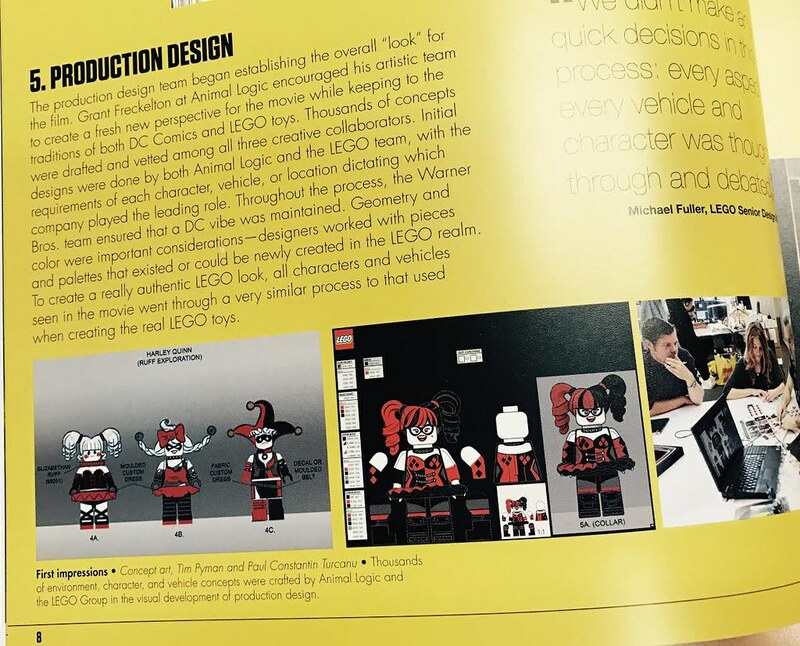 While it details the making of the movie itself, it can also be used as a guide to recreating Gotham in LEGO form! I highly recommend this book! 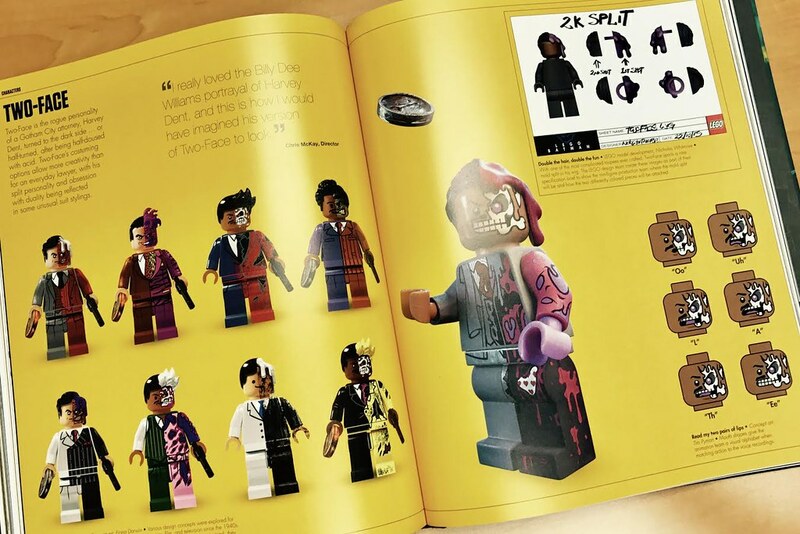 You need this LEGO Batman Movie book! For this review, I’m just going to start in the beginning, and work my way through the end, showing you some of the cool things you can expect. I appreciated seeing the character development and production design of numerous characters throughout the book. The makers of this film really put a lot of time into getting them just right. They started out with several concept drawings, and refined the look & feel from there. Once they had a general design, they explored it further until it was perfect. LEGO toy designers were also involved from the very beginning to look for LEGO set possibilities that could be built to translate into reality. I love that this same amount of care went into designing the LEGO toys from the movie so kids could have as close to screen used models as possible, yet still be able to play with them. One of the things that really struck me in the original LEGO Movie was the attention to small detail most people will never notice. The small scratches on parts. Mold lines on minifigure arms. The pebbly texture of sloped bricks. This same meticulous attention to detail was evident in the LEGO Batman Movie as well to make the bricks look just right. The movie designers did their homework and studied real LEGO bricks in fine detail to achieve such an incredible level of realism. I, for one, appreciate their efforts! 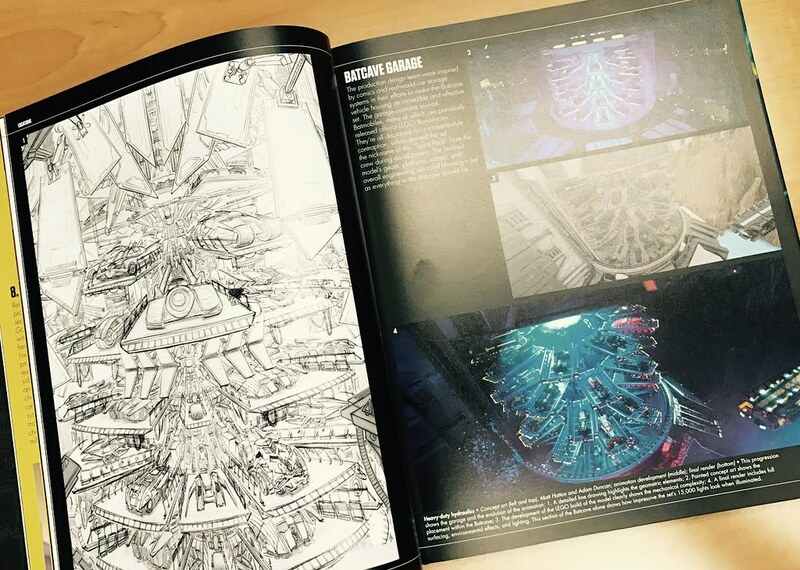 These behind the scenes looks at the progression from design concept to final rendering are really cool. The graphics artist do an amazing job capturing the intended look & feel. And that look & feel perfectly captures the entire Batman universe! This is obvious in these shots form the Batcave where all the various incarnations of the Batmobile can be seen. You can see the Batmobile from the 60’s TV show. You can see the Clooney, Kilmer, and Keaton era Batmobiles. The Tumbler is there. Even the new Speed Wagon is there! So many Easter Eggs like this sprinkled throughout the movie and this book! This little fact here amazed me. LEGO model builders built numerous cars in various widths to determine the look for Gotham. Once they had the standard car width, 6-studs, they knew how to scale the roads. Once the roads were scaled, everything else could be scaled! I love the line of thinking! Then they took that thinking once step further. Everyone knows trains are bigger than cars, so if cars are 6-studs wide, trains are 8-studs wide. Just like we do it in the MOC world! It looks like there might even be a Family Truckster from National Lampoon’s Vacation hidden in there somewhere…. I’ve seen less emotion from “real” actors. How is it that we can get emotionally invested (at least I did!) in little plastic characters?Because of the love that was poured into their design! While Will Arnett was recording his lines, they filmed him speaking and directly translated his facial expressions into the Batman character. But they didn’t stop there. Similar character studies were done for each character. Visual designers gave the animators perfect visual direction for how characters should look when they’re happy, furious, or skeptical. Such a range of emotions for little plastic bricks! The designers put as much effort into costume design as they did facial feature design. Look at all those costume choices the animators had to incorporate! 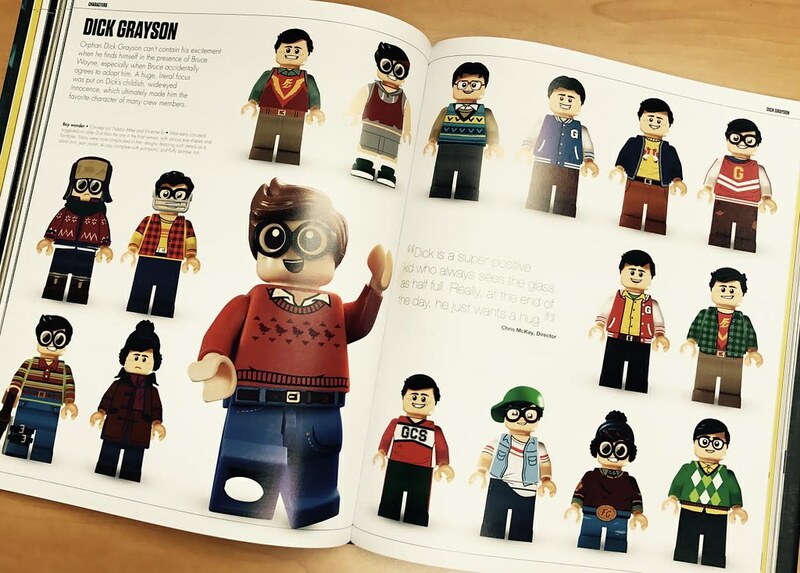 This book is like a how-to guide for minifigure customizers! You will find a wealth of design inspiration contain in these pages. Here’s a little more insight into how detailed the character designs were done, and how this helped bring them to life. Not only did they capture the look of the actors, they also designed how the mouth would move under specific phonetic sounds. Brilliant! We also peek behind the curtain a bit, and see how some of the new parts like various hair pieces came to be. From Classic Batman to Classic LEGO. One on my absolute favorite parts of the LEGO Batman Movie was how it paid homage to the various Batman characters we’ve seen over the years. 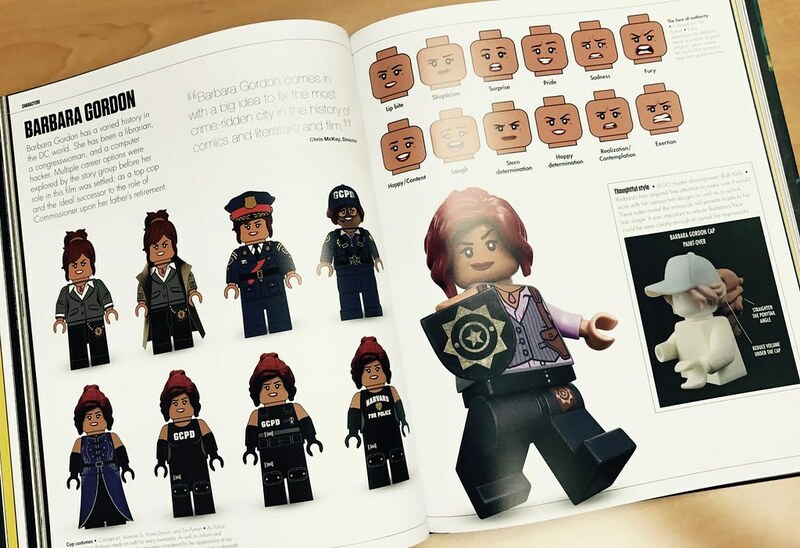 This homage was paid to classic LEGO as well. 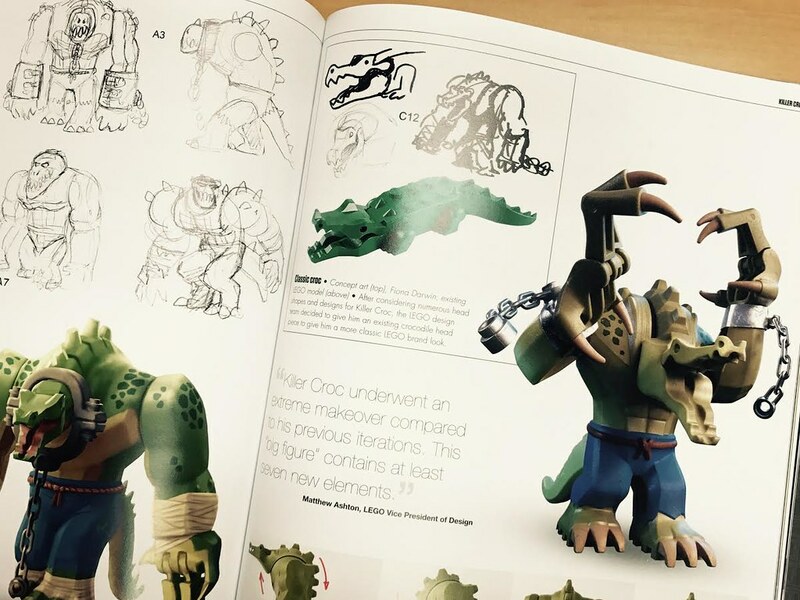 The designers went through several iterations for Killer Croc and landed on a design that incorporated the original crocodile head. So cool! Like I said, you need to get this book if you liked the LEGO Batman Movie. The first LEGO Batman Movie books I reviewed got me excited to see the film. 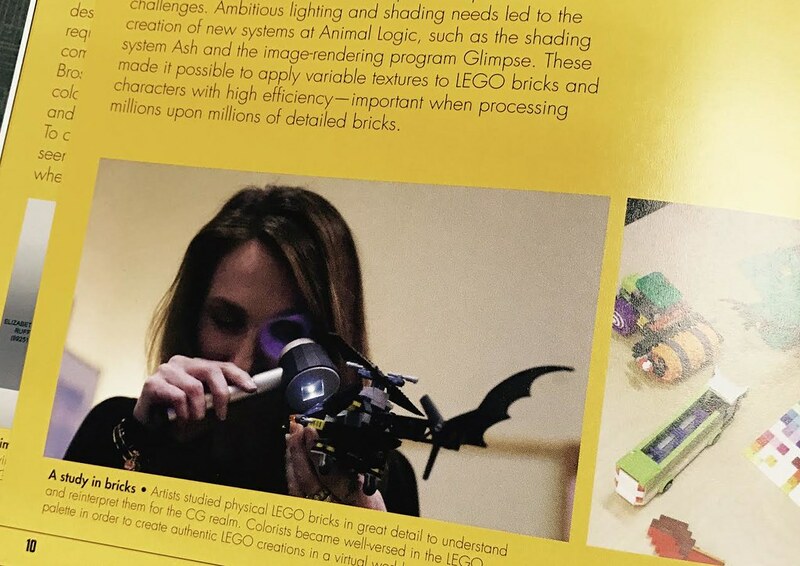 This LEGO Batman Movie book got me excited to build my own LEGO Gotham!